Enslaved African Americans used various forms of resistance against the institution of slavery. Some used passive forms of resistance such as pretending to be ill, secretly destroying tools, and work slow downs. Others used more drastic measures such as physical violence toward their enslavers and running away. 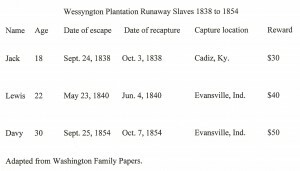 Several men from Wessyngton Plantation escaped and made it to free territory. One slave Davy, ran away four times and was preparing to cross the Ohio River and go north to Canada when he was recaptured. My presentation at the Missouri History Museum was followed by a book signing, which was well attended. 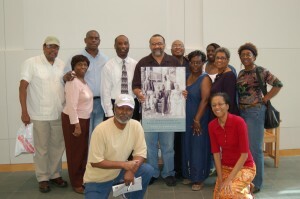 I enjoyed meeting the members of the St. Louis African American History and Genealogy Society who sponsored the event. 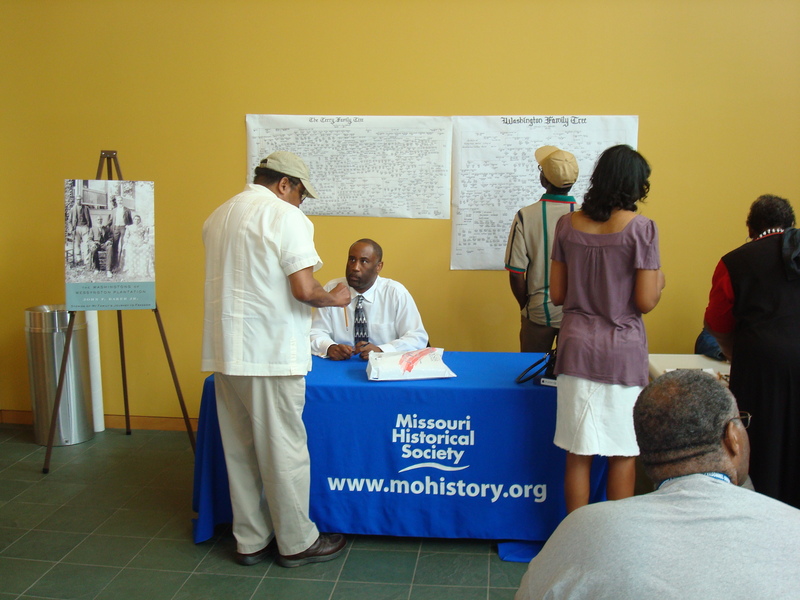 On May 23rd I gave a presentation about my book The Washingtons of Wessyngton Plantation: Stories of My Family’s Journey to Freedom to the St. Louis African American History and Genealogy Society at the Missouri History Museum. I made many new friends among avid genealogical researchers. I had a great time in St. Louis and look forward to visiting again. One of the most exciting things about genealogical research is meeting new family members. In conducting research for more than thirty years I’ve found hundreds of relatives. 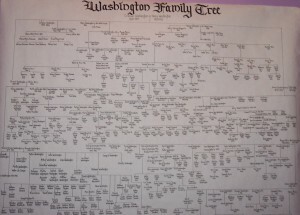 I created this tree which spans ten generations and includes more than 600 names of descendants from my great-great-grandparents Emanuel and Henny Washington. 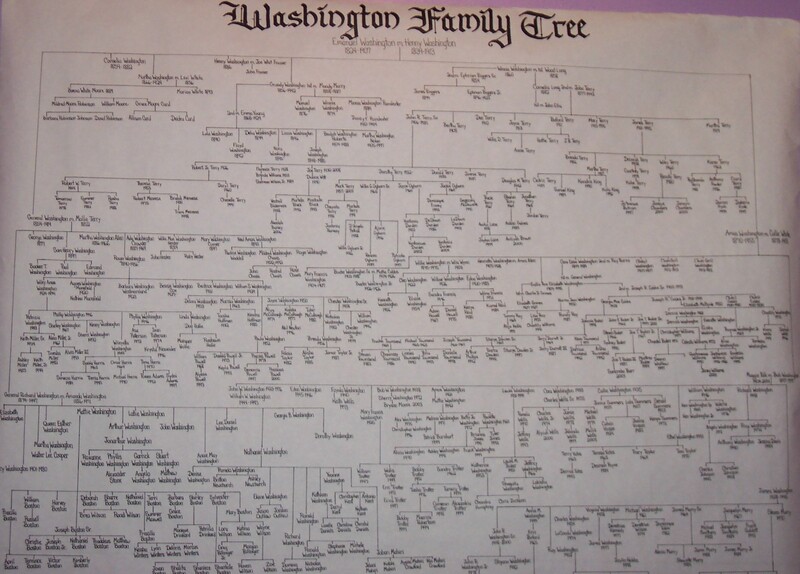 I have genealogical information on all the families that came from Wessyngton including: Washington, Blow, Gardner, Terry, White, Williams, Lewis, Scott, Green and many others.